Steve’s breakdown: Bentley Motors is an account I won while at M&C Saatchi. They lost it and won it back in 2016 but the new CEO might want to shake things up. One of the ideas that helped my team win the account was to pool some of the dealership ad dollars to create a bigger and better national campaign. Will that work agin? You’ll have to ask the new CEO, Christophe Georges. Oh, and one more thing. Don’t forget, any CEO of Bentley or Rolls Royce is WAY up the ladder of the British Upper-Class! RESTON, VA: Bentley has a new CEO and president for its American operations in Christophe Georges. His appointment to the top position in the United States comes as Bentley’s Volkswagen Group parent shuffled its executive deck in North America just weeks ago. Georges will succeed Mark Del Rosso, who was appointed president of Audi of America. Del Rosso led Bentley in the U.S. for just one year, and this will be the second time Georges will step into the top role. He led the Americas region from 2005 to 2017. Most recently, he served as director of product and marketing for Bentley’s global organization. “I look forward to re-establishing my close relationships with our customers and retailers in the region, driving the brand and network presence further and introducing our next generation of products to the market, starting with the all-new Continental GT next year,” Georges said. Georges’ appointment also comes after Adrian Hallmark took over as CEO of Bentley worldwide one year ago. He likely won’t have any say in future product decisions, but Georges will be responsible for rolling out Hallmark’s decisions across the U.S. Notably, Hallmark said sports cars aren’t a priority for Bentley, while younger buyers prefer SUVs and sedans. 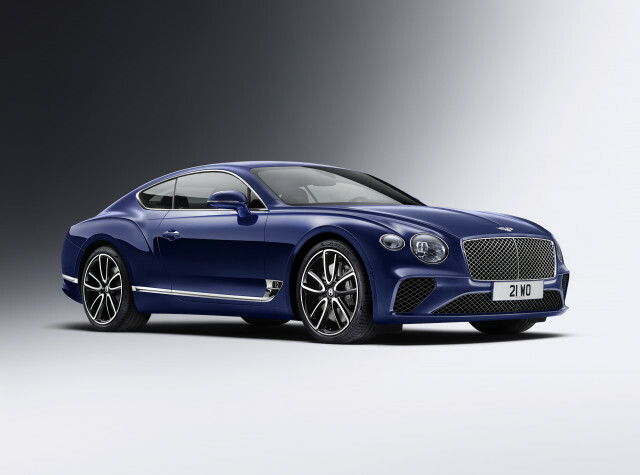 Bentley currently sells the Continental GT, Flying Spur, Bentayga, and Mulsanne but rumors of a fifth model have swirled for years. It was once thought such a model would be based on the EXP 10 Speed 6 concept that debuted at the 2015 Geneva auto show. However, it sounds like we may be in for another SUV instead. Georges will take his new position on December 1 as Del Rosso moves to Audi. His role is an important one; 20 percent of Bentley’s global sales come from the U.S. market.